BYJ low-smoke halogen-free wire (WDN-BYJ, WDZ-BYJ)_Guangdong Zhujiang Wire & Cable Co., Ltd. It is suitable for the laying of power equipment, household electrical appliances, instruments and telecommunications equipment with AC rated voltage U0/U of 450/750 and below. Mainly used in places with high safety and environmental protection requirements. Such as high-rise buildings, stations, subways, airports, hospitals, large libraries, stadiums, villas, family houses, hotels, hospitals, office buildings, schools, shopping malls and other crowded places. The material of the low-smoke halogen-free wire does not contain any toxic substances such as halogen, and in the case of burning, there is no wire with a large amount of smoke. When a fire occurs, the spread speed is slow, the smoke concentration is low, the visibility is high, and the amount of harmful gas released is small, which is convenient for personnel to evacuate. The combustion gas is less corrosive and avoids damage to the equipment. The low-halogen and halogen-free properties make the cable material greatly resistant to aging and UV and other radiation, thus prolonging the service life of the cable. Low-smoke, halogen-free wires are made of rubber materials that do not contain halogens (F, Cl, Br, I, At), and do not contain lead, cadmium, mercury, mercury, etc., and do not emit toxic fumes when burned (eg hydrogen halide, Carbon monoxide, carbon dioxide, etc., will not cause secondary hazards, and meet the requirements of modern fire safety. The outer diameter of this kind of wire is smaller than the outer diameter of the whole PVC insulated wire of the same specification cross section. In the pipe construction, the pipe diameter can be reduced, or more wires can be worn under the same pipe diameter, and the construction installation cost can be reduced. . In addition, the wire product is much lighter than the PVC insulated wire product, which is easier to install and transport, reduce labor intensity and reduce transportation costs. XLPE insulated wires can be rated up to 90 °C for long-term operation and up to 250 °C for short-circuit (maximum duration of 5S). The current carrying capacity is greater than that of PVC insulated wires. The minimum operating temperature of the cable is -15 °C, and the minimum bending diameter is not less than the following: single-core cable: 20D (mm); multi-core cable: 15D (mm) (D: actual outer diameter of the cable). According to different performance, low-smoke halogen-free wires can be divided into three types: ordinary, flame-retardant and fire-resistant. It has excellent mechanical and physical properties, electrical properties, good environmental stress crack resistance, excellent wear resistance, and can withstand concentrated mechanical stresses than PVC and PE. It is resistant to various chemical solvents and is stable in various corrosive media. It is suitable for the laying of power equipment, household electrical appliances, instruments and telecommunications equipment with AC rated voltage U0/U of 450/750 and below. The cable has flame retardant properties and is only limited to a certain range during ignition. It also has low smouldering and harmlessness, and it has very little smoke when burning, and no corrosive gas escapes. 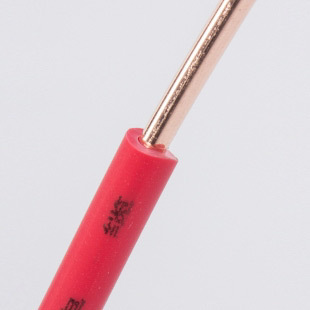 Applicable to places with special requirements for cable flame retardancy, smoke density, toxicity index, etc., widely used in nuclear power plants, subway stations, telephone exchanges and computer control centers, high-rise buildings, hotels, radio and television stations, important military facilities, oil platforms. Etc., as well as places where people are concentrated and air density is low. In addition to transmitting power under normal working conditions, the cable can still operate for a certain period of time while burning. Applicable to fire-fighting systems, emergency lighting systems, life-saving systems, alarms and important monitoring circuits for industrial and civil buildings where fires are still required. 1. Fire pump, spray pump, power supply line and control wire of fire elevator. 2. Power supply control circuit for fire shutter doors, electric fire doors, exhaust system fans, exhaust valves, and fire dampers. 3. Manual alarm line for fire alarm system, fire broadcast and telephone line. 4. Security closed-circuit television lines in high-rise buildings and important facilities such as airports and subways. 5. Centralized power supply emergency lighting lines to control and protect power lines. 6. Important relay protection lines and operating power lines for large and medium-sized substation. A refractory wire and cable is a cable that can be kept in normal operation for a certain period of time in a flame under specified test conditions. 1. According to the standard requirements of GB/T19216-2003 "Line integrity test of cable or optical cable under flame condition", the fire-resistant wire and cable must be burned at 750 °C for 90 min, and the 2A fuse is not blown. 2. The fire-resistant wire and cable adopts a high temperature resistant organic fire barrier as a refractory layer. According to GB/T19666-2005, fire-resistant wire and cable can be divided into fire-retardant fire-resistant wire and cable and non-flame-retardant fire-resistant wire and cable. Flame-retardant refractory wire and cable mainly incorporates flame retardant in insulation or sheath to meet the flame retardant properties at the same time. Non-flame-retardant fire-resistant wire and cable is not added with flame retardant in insulation or sheath, it does not have flame retardant properties. 3. According to the test conditions specified in GB/T19666-2005, the flame-retardant wire and cable is divided into four grades: A, B, C and D.